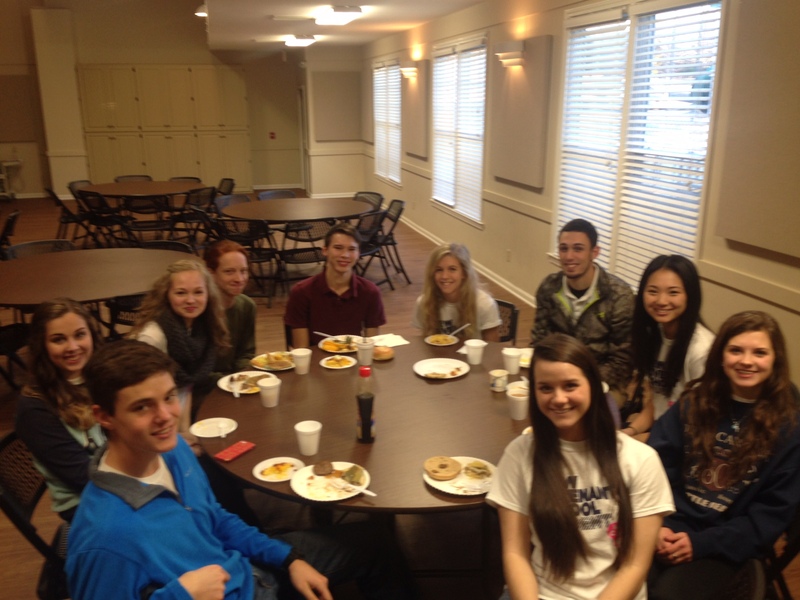 Recently, the New Covenant School Student Government organized a Teacher Appreciation Breakfast for our faculty. 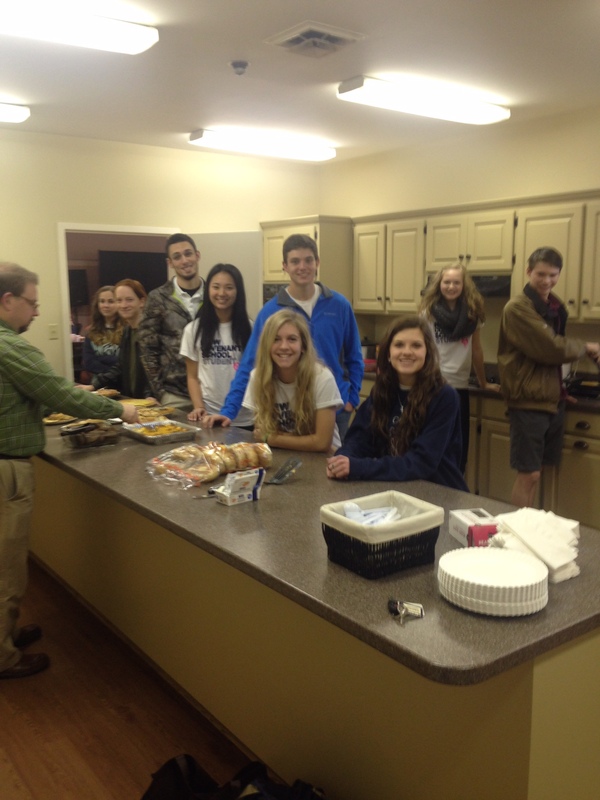 The students decided on the food, prepared and then served the dishes. The menu included two types of egg casseroles, three different quiches, bagels, yogurt, grits, pancakes, coffee, juice and more! Everyone had a great time! 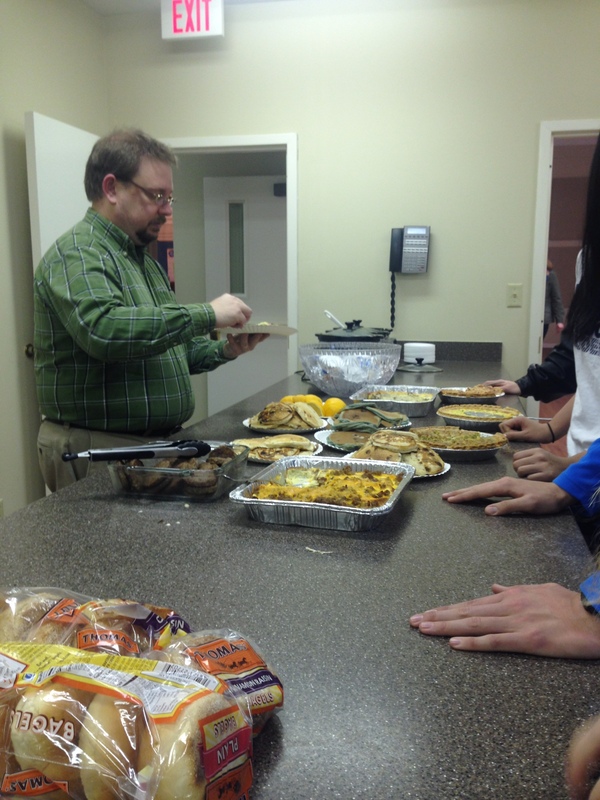 And the Student Government was able to feast on their goodies after the faculty enjoyed theirs! 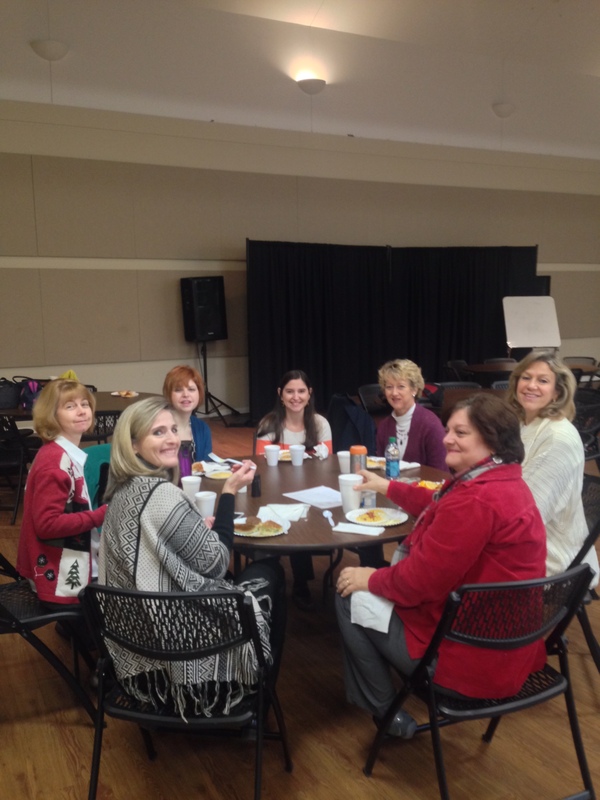 Previous PostThe Cavalier Chronicle – December 2014Next PostFeed the Need – THANK YOU!! !